A new sight has settled in Foshan! 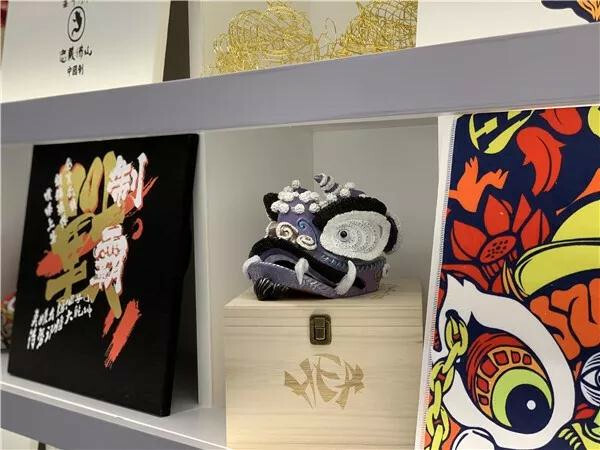 More than 300 handsome lion heads landed in Lingnan Tiandi, which marked the first Dragon and Lion Art Gallery in Foshan opened to the guests. Dragon and Lion dance is the outstanding representative of Lingnan culture. In Chancheng, there is a group of young people who take carrying forward the lion dance culture as a mission and strive to create a lion dance cultural platform. The Dragon and Lion Dance Art Gallery covers a land of around 200 square meters and displays approximate 400 exhibits of lion heads ranging from traditional lion heads featuring Liu Bei, to lion heads added with innovative elements such as the “Great Wall” Lion and the lion head characterizing the First Emperor of the Qing Dynasty. All of them are fabulous and exquisite with different shapes. 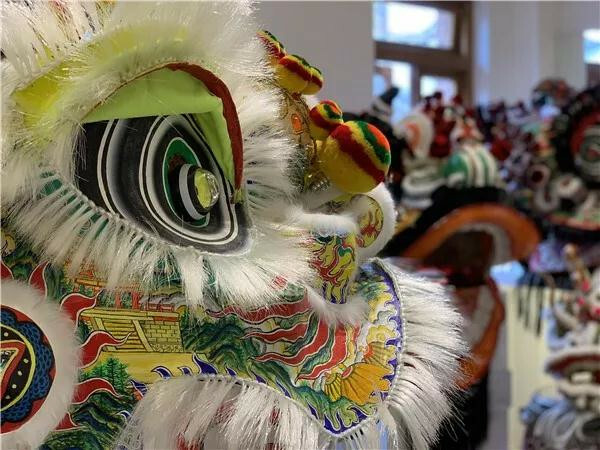 Some of the lion heads are presented with traditional Chinese painting, some are demonstrated with the landmark and folk custom of Chancheng, and others are painted with traditional Chinese pavilions. 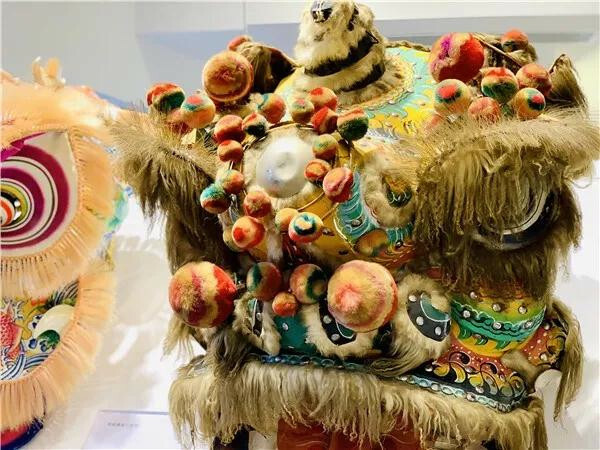 Except for the traditional lion heads, the gallery also developed lion-dance-relevant outfits and artifacts such as phone protectors, ceramic dolls, hats, etc. There are also different stories behind the gallery's more than 300 exquisite lion heads. Among them, the “Great Wall” Lion Head is particularly delicate, showing the scenery of the Great Wall in three dimensions. The making of lion head and scenic spots are set off against each other, giving off the unique charm of Chinese excellent traditional culture. On the second floor of the Dragon and Lion Art Gallery, a number of overseas classic treasures are on display, which is a visual feast to eyes. What is unexpected is that the main staff and management team behind the Dragon and Lion Art Gallery is a group of young people. 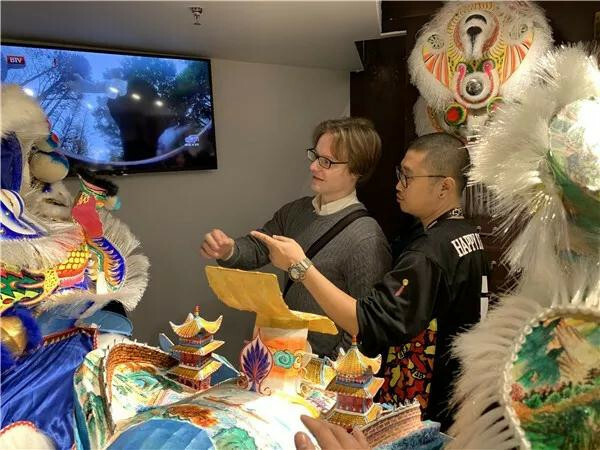 Lu Yongquan, the correspondent of the Dragon and Lion Art Gallery stated that they had been preparing for this gallery for almost two years . During the two years, they had visited different schools of martial arts and world-wide prominent masters in making paper artifacts. The exhibits in the gallery are from various places around the world including Malaysia, Canada and Singapore. Among them, the oldest piece of lion head can be traced back to the 1960s. It is reported that the gallery has received countless tourists including foreign friends. In the constant communication and collision with the outside world, the team members not only enrich the experience, but also deepen the thinking of inheriting history and culture. Opening hours: The lion and dragon heads are on display from Monday to Sunday every 9a.m to 10 p.m.